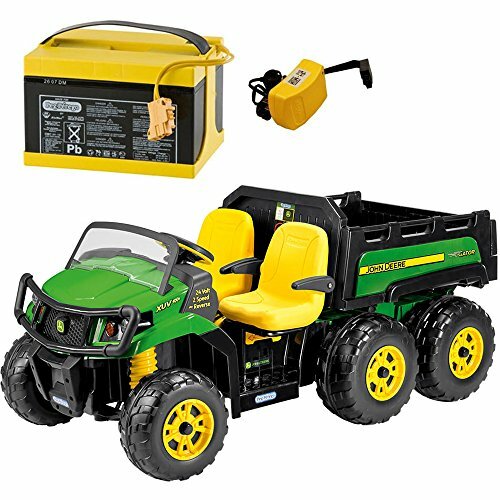 Your budding builder will feel like he or she is steering real machinery with the CAT Bulldozer 12-volt battery-powered ride-on, turning your backyard into a pretend construction site – no permit required! 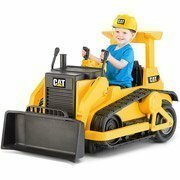 This cheerful yellow bulldozer has two motors for turn-in-place steering – just like the real thing! 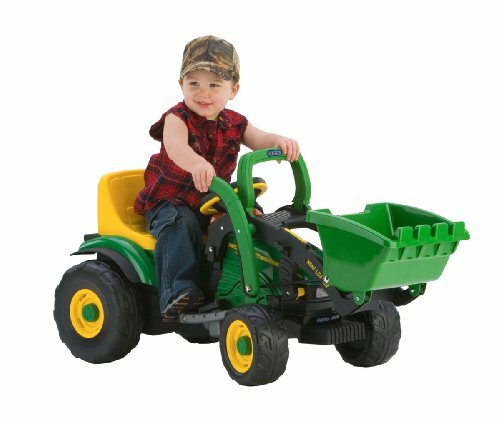 It’s loaded with realistic details, like Power Trax rubber traction strip tires, a manual lift-and-dump bucket, and electronic diesel motor and construction-themed sound effects for a fun and authentic experience. 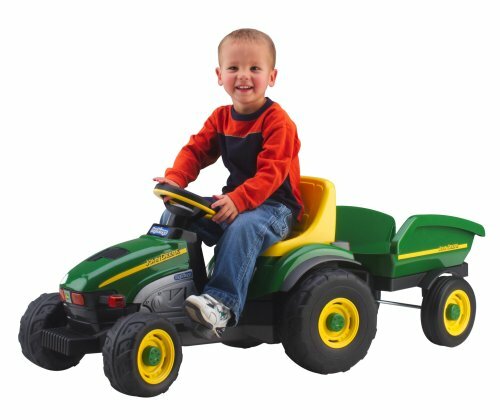 Your child can use the boom to lift and dump small items with the bulldozer’s realistic bucket. 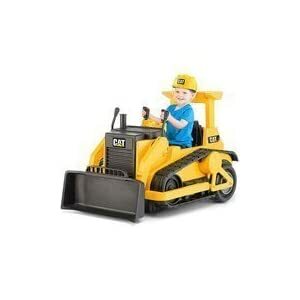 The ride-on bulldozer also includes two plastic boulders and a yellow hard hat. 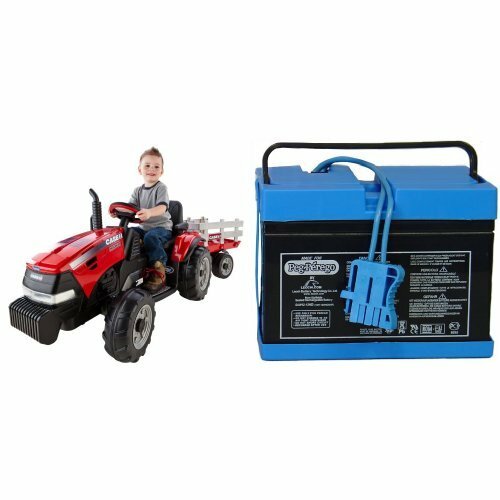 Includes a 12-volt battery and charger, charge time is 14 to 18 hours for approximately 1.5 hours of use time. Maximum weight capacity is 55 pounds; some assembly required.